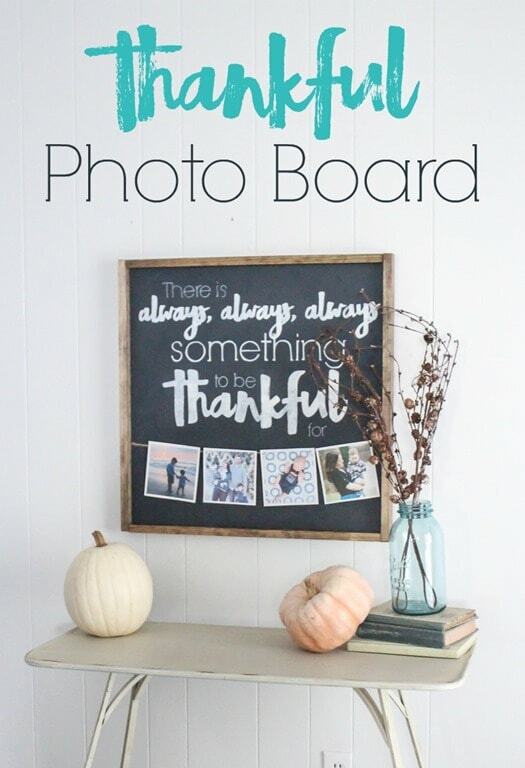 DIY Thankful Sign and Easy Fall Decor - Lovely Etc. 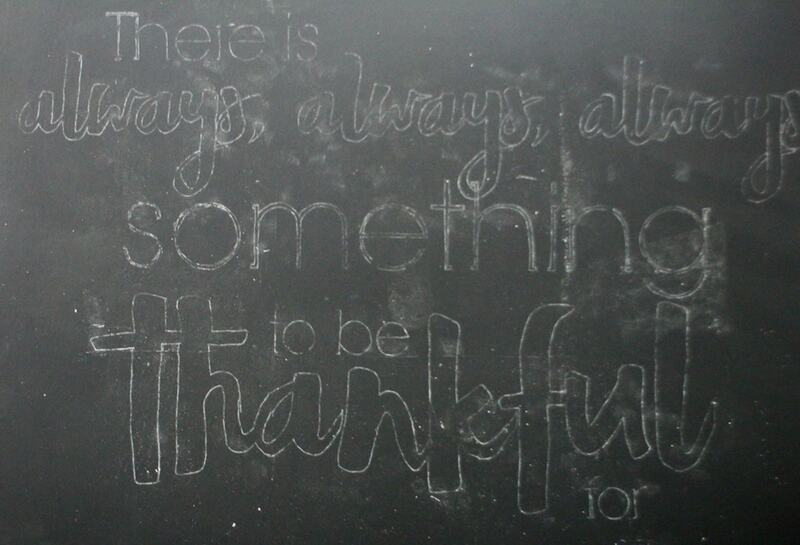 This time of year always gets me thinking about all I have to be thankful for. 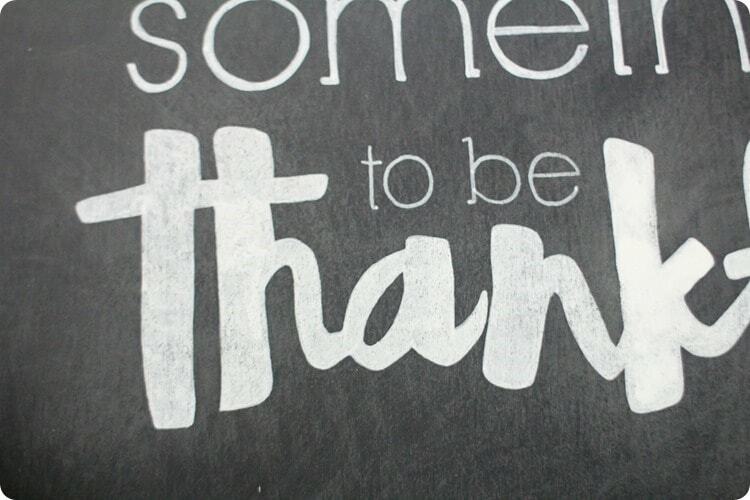 I know, I know, you’re probably thinking that being thankful for all of my blessings shouldn’t be a once a year kind of thing. And I agree – it really shouldn’t. I try to remember how blessed I am all year long, but every year when the seasons start to change, it tends to be on my mind a bit more. Lately I’ve had some really long, frustrating days. Nothing terrible but when you have three little boys under the age of five, there are days (and nights) that seem like they will never end. And I’ve found myself so focused on how tired I am and how messy our house is and how many tantrums the 2 year old has had that I forget to remember all of the amazing things we have happening in our lives. Including those three frustrating little boys that not too many years ago I thought we would never have as we struggled with infertility and repeated miscarriages. That’s just not how I want to go through my days, only focused on the problems I see right in front of me, forgetting all of the wonderful things we’ve been given. 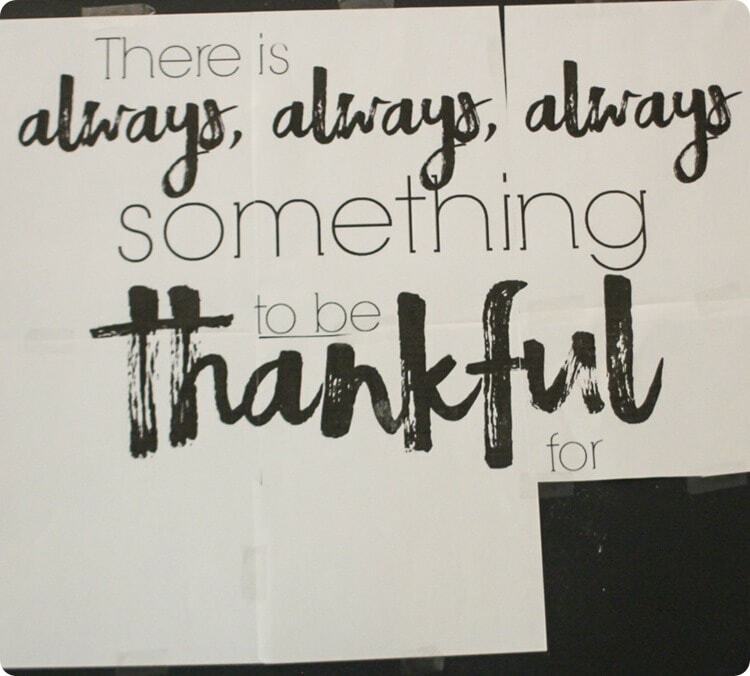 So it seemed like the perfect time for a new DIY thankful sign. And I wanted this one to have a spot for photos because nothing gets me feeling all warm and glowy inside like photos of my favorite people. I grabbed all of the supplies for my DIY photo board from Lowe’s and I also couldn’t resist picking up a few more pieces of fall decor in the process. I found some really cute stuff at an affordable price at Lowe’s and what can I say – this year I’m just really wanting to embrace the season. 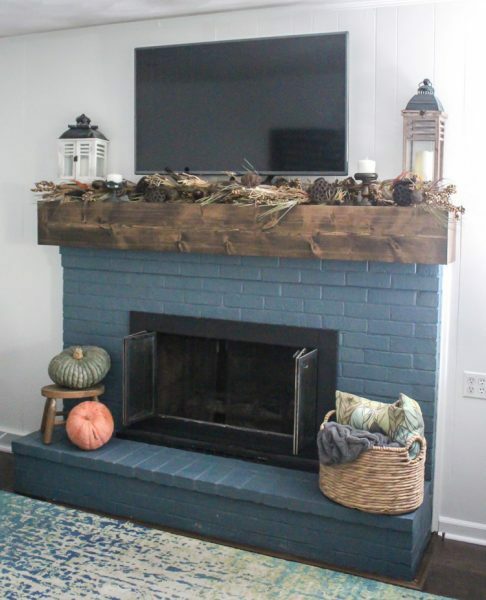 Plus, I couldn’t resist adding a little something to my new DIY mantel – it’s just the perfect spot for a touch of fall! Paint the wood with the chalkboard paint using a small foam roller. 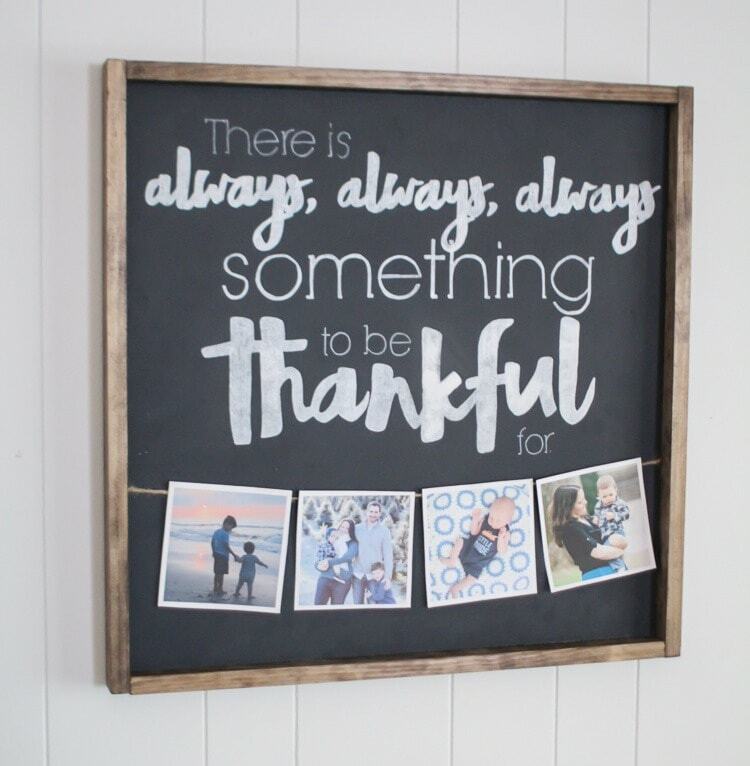 I like to use chalkboard paint for signs sometimes even when I’m not making a chalkboard because it has a nice matte finish. Any matte paint can work though. 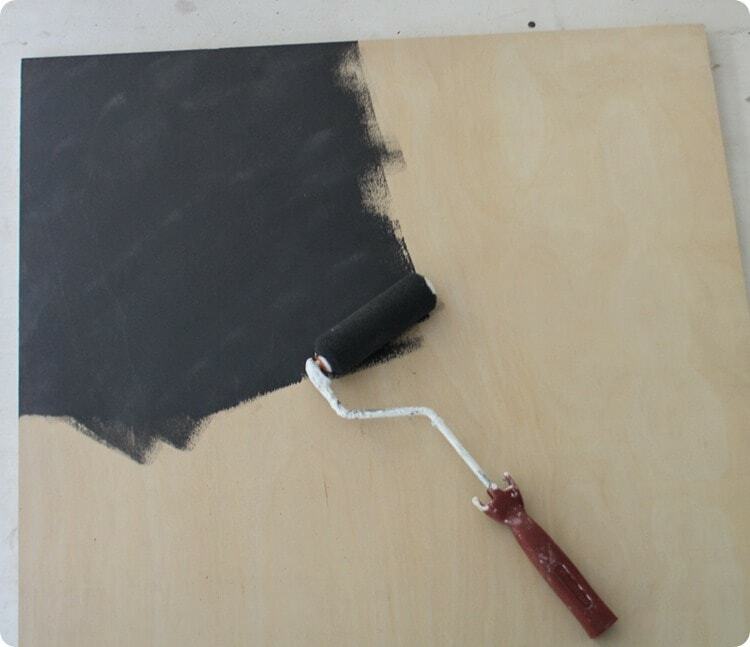 Use a rag to stain the 1”x2” boards. These are going to make the frame. You can download the design by right-clicking the photo below and saving it to your computer. I taped the design together and then used a simple chalk method to transfer the design onto my painted board. Simply rub chalk all over the back of the printed design, tape it into place, and then trace around each letter using a pencil. When you remove the paper, there will be a chalk outline left on the board. I mean seriously, how easy is that! 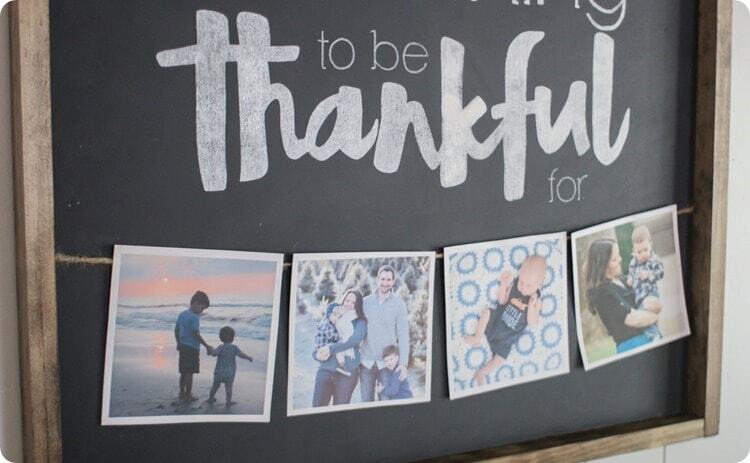 Then you can simply, trace and fill in the chalk letters with a white Sharpie paint pen. So simple. I went over each letter with the paint pen and then lightly sanded the entire sign with a piece of high grit sandpaper. This helps keep the letters from looking like they were colored using a paint pen and softens the whole thing a bit. I cut a piece of twine and taped it to the back of the board and then all that was left was adding the frame. I added a bit of wood glue to each of the joints of the frame and used 2 finishing nails in each corner to connect the pieces together. Then came the fun job of browsing through my favorite photos from the past few years to choose a few to add. To give the photos a polished look, I cropped them into a square, added a small white border, and then printed them on card stock. 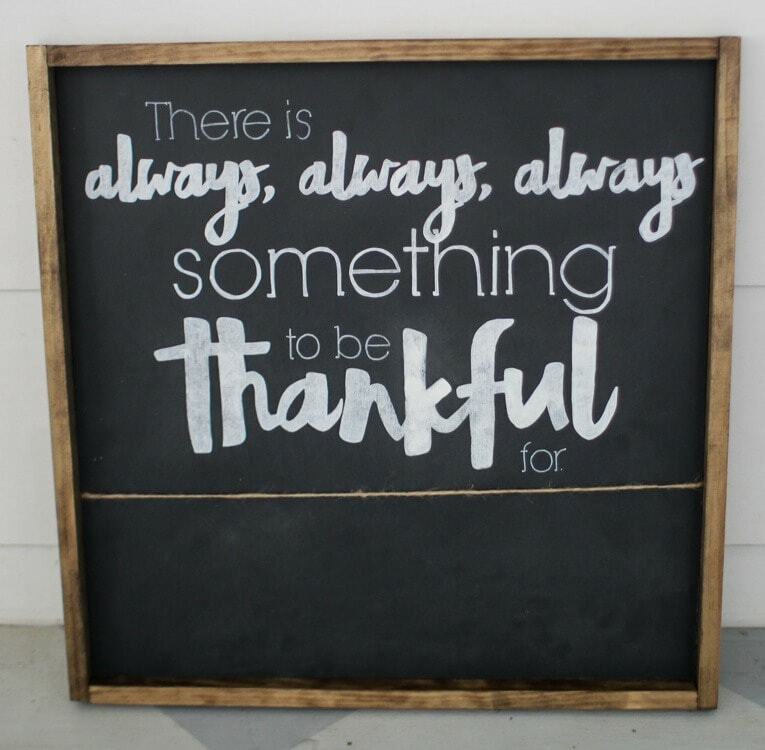 Such a good reminder to stop and be thankful! I added a few fun pumpkins from Lowe’s as well as these simple pine cone branches. And like I said I really couldn’t resist grabbing a few things to dress up the fireplace – I love how fun and moody these garlands are and that green pumpkin is probably my favorite ever. Here’s a close up of the garland. I absolutely love those lotus roots (the things with the holes ;). And I also grabbed a new wreath for the door. Of course, I’m still loving the DIY wood wreath I shared last month but I’ve been trying it out in different spots all over the house so the front door was looking a bit bare.